The Odyssey+ has the best display that is on the market right now. Period. Same pictures but zoomed in this time. The Odyssey+ display makes even the Pimax 5K Plus and Pimax 8K display look bad in comparison. But again, see for yourself. All pictures have been taken through the lens. Odyssey+ vs. Vive Pro vs. Pimax 8K vs. Pimax 5K Plus. And again, same pictures but zoomed in. It is my pleasure to also debunk the myth that the Odyssey+ would look blurry. I was very surprised when I read some people spreading this kind of misinformation. I believe this originates from the very first through the lens picture that emerged on the web that indeed looked blurry. Having used the Odyssey+ for many hours now, I can just tell you again that this is the best picture you can get in VR right now. It is not blurry at all, it just lacks the Screendoor Effect that allows you to clearly identify individual pixels, like you can for example when you look at the Pimax 5K Plus picture. You could say, that being able to see each pixel will make things look very clear and defined. Some people might prefer this kind of look. But this does not make the Odyssey screen blurry. Perhaps just “soft”, as compared to the hard edges that you can see in the 5K Plus. Another reason for people not being able to see picture as clear as it can be is the small sweetspot. I suppose that the small sweetspot is the one disadvantage that comes with the new Anti-SDE technology. When you put on the Odyssey+, you first have to position the device just exactly into the sweetspot for things to look amazing. It is no problem to find it, but it is not exactly user friendly to have to wiggle for a few seconds first. That is absolutely no comparison to the Pimax headsets, where you simply put it on and hit the sweetspot without even having to try. Another surprising win for the Samsung Odyssey+: the FOV is even larger than before! When comparing directly with the predecessor, it is very obvious but also when comparing against the other current gen headsets the Odyssey+ has a slight advantage. In direct comparison with the Original Odyssey, the comfort and fit has improved. There is much more room for the nose in the new design and the new material that the paddings are made of is fantastic. For the original Odyssey, even it was my go-to headset before the Pimax 5K Plus, after longer playing periods I did not quite enjoy the cold feeling of the PU leather. The new headset is also lighter than the original Odyssey, all improvements that help to increase the comfort of the device. And wearing glasses in the headset now even works better than it did before thanks to a bigger eye box. Unfortunately the updated design of the headset also introduces a problem that we did not have with the original Odyssey: light leakage. There is indeed light coming in from the sides of the headset. It is not a deal breaker by far and there are ways to get around it, but without a doubt it is a flaw that has to be mentioned. The Samsung Odyssey+ also improves on the often criticized Windows Mixed Reality controller tracking. It does so by eliminating a major flaw of the original Windows MR architecture: not including a bluetooth module into the headsets by default. Before, users had to rely on their own bluetooth dongles, which not in all cases where compatible or well placed. The Odyssey+ has the bluetooth module built into the headset and the controllers are pre-paired. There are no connection issues whatsoever and tracking works fantastic. It is still not as good as the Valve lighthouse tracking, but it is really really good. 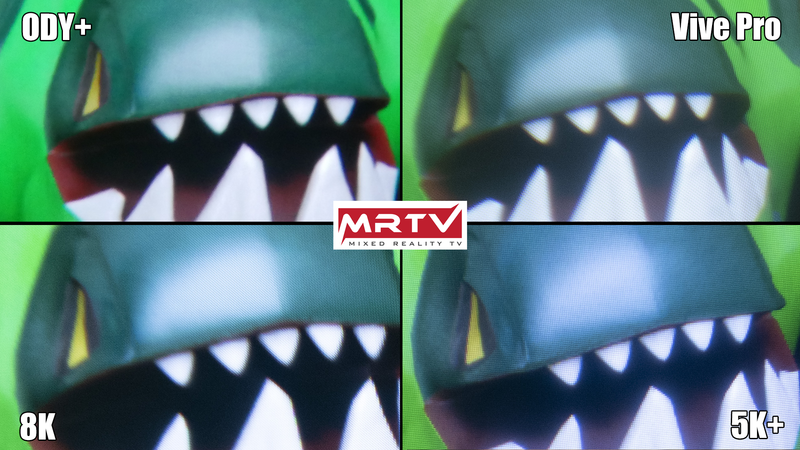 I will demonstrate that in the full MRTV Review of the device. Despite the flaws, the Samsung Odyssey+ is the best of the current generation VR headsets. It is a huge upgrade from Rift and Vive and still a very noticeable upgrade from Vive Pro and the Original Samsung Odyssey. Even at its original $499 price I would wholeheartedly recommend it to everyone, but at $299 it is a must-have and a no-brainer. Get it for $299 while you still can! People in the US can pick up the device from samsung.com or microsoft.com for $299 for a few more days. For everyone who does not live in the us, I have described how to import it here. 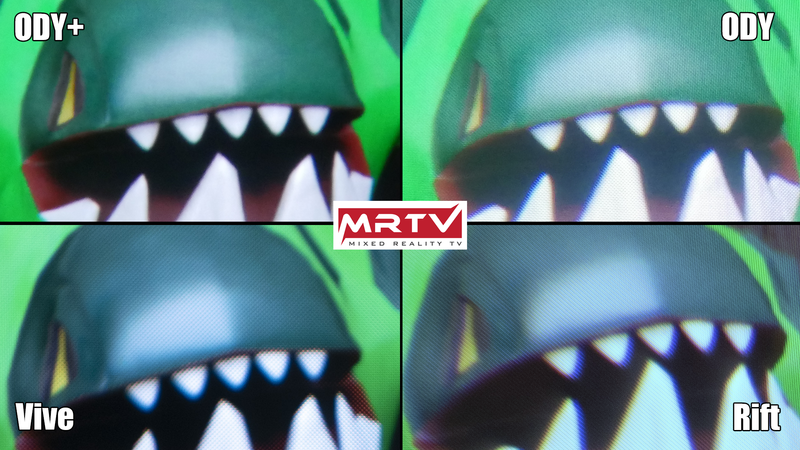 The full MRTV Review with ALL the details is…coming up! Nice.. thanks for the early partial review with through the lens shots. Mine is ordered and I can’t wait to check it out. If I wasn’t already dropping money on the OG Vive, in order to cannibalize it for Light Houses and for controllers for my Pimax 5K+; would definitely pick this up! Word from Pimax a few days ago, was that the accessories weren’t going to be available anytime soon; so they were going to ship my Pimax ASAP! Samsung is such a big improver in so many different areas. Im happy to see companies like Samsung supporting Virtual Reality. Awesome HMD. If I wasn’t a Pimax backer I would snap this up today..Cannot wait to see Samsung’s next iteration, I have a feeling it’s going to be even more amazing. Well done to Seb & Sam. Gonna be a huge step up from Rift and old Vive. If the tracking is fine in most games, Ill sell both and wait for the next big thing – which will hopefully be the Valve HMD. Were these tests conducted with 100%/1.0 supersampling? If so, the visual results could be a bit imbalanced as neither the Vive, Vive Pro, Odyssey, nor Odyssey+ have their claimed resolutions at 100% SS. As you can see from the numbers above, the Vive Pro is heavily supersampled even at 100%/1.0 SS. I’d be interested to see what resolutions the Pimax 5k+/8k headsets actually render at using 100% SS. I have an original Odyssey and picked up the Odyssey+ to compare. Although the SDE is less noticeable, I believe it comes at a trade-off of the image being “softer” and not as clear. I watched scenes from a movie with both headsets and I think I prefer the original Odyssey because this anti-SDE tech makes the movie blurrier. I don’t believe the images in this article (although supposedly taken through the actual lenses) convey the actual experience I have seen. The two images attached are from AC , one Odyssey+ other Vive pro same setting. I have to pleasure to be testing both headsets. I have been using my Odyssey for a few months now since I changed it over the Lenovo Explorer. Now that I got my Ody+ finally I can begin on testing. For me it is only for Simracing (assetto corsa). I have read and viewed your posts and vids and you were talking about the ss. Have you been changing only the override settings to a higher level or did you also changed the settings per application? Also what I notice is that the minimum IPD can be set to 62.857 for me, where my old Ody can be set to 60.122 IPD distance. Nice post. Thanks for share!